Share this wine with the person you love. I think that’s about all I have to say about it. Okay, that’s not entirely reasonable, but it’s what immediately comes to mind upon opening this bottle. The Anthos is 100% Brachetto, and while much of Brachetto in the world is off dry or even sweet, and usually fizzy, this one is completely and totally dry, and still. 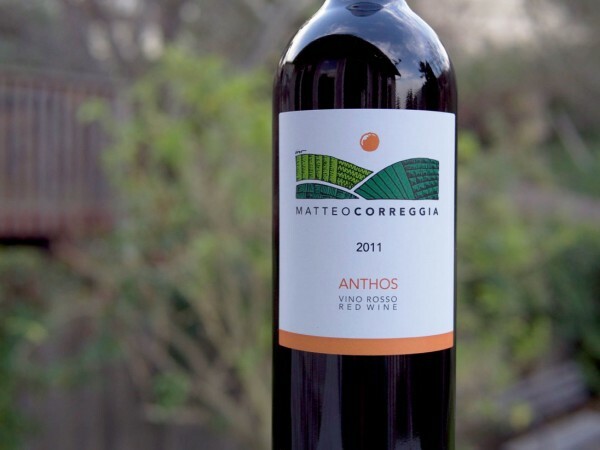 A lush, light-bodied red wine that’s best consumed with a slight chill, the Matteo Correggia Anthos is a bouquet of beautiful, aromatic, delicate flowers in a wine glass. Part of the Winter Wine Club shipment (I know, you guys. I’m reallllly behind on my wine consumption), this Italian wine is, I think, best made for sipping and sharing with a friend or loved one. The floral element is really what shines in this wine – think jasmine, roses, maybe a little lavender… That sort of thing. It’s very lush and bright, but not an acidic wine. It’s just such a Winelandia wine, you guys. It’s out of the box, it’s unexpected, and it’s really not what most people are used to when they enjoy a glass or a bottle of wine. But if you can set aside preconceived notions of wine – especially red wine – you’ll find some real, easy pleasure in this bottle of Anthos. Days to Drink: 3, but I don’t recommend it. This is a fragile wine. The first night is wonderful – chill the bottle just a bit (maybe 30 minutes in the fridge), and enjoy it. The second night, some of the fragile and volatile floral compounds have fallen away, but there’s still plenty of substance there to make it a worthwhile endeavor. I wouldn’t say that day two brings a different dimension to this wine, so don’t feel bad about finishing it in one night. Day three the wine just didn’t hold up – which is okay! I want to say something about this – natural wines, the kinds of wines that we specialize in here – are fragile creatures that really deserve affection and attention. If a wine will hold up in your fridge for 2 weeks, you may want to ask what else is in it besides grape juice, because wines with very little treatment and additives are just like organic food – more delicious and also more delicate. They’re fresh, they’re authentic, and they don’t have any supporting ingredients (preservatives!) to help them stick around once they’re open. Some wines can make it, and some can’t, but Tala and I have found that most wines max out at 2, maybe 3 days. Taste it before you toss it though – always. Paired With: Good company. I tried this with a dish I made the night that I opened it, and the pairing was so off that I’m not even going to tell you about it. I set the glass aside, finished my dinner, and came back to the wine after I’d eaten and I was sitting on the couch chatting. That was definitely the right choice, as there is some delicate complexity about this wine that I think can get lost in food, or overshadowed by big flavors, or clash with the wrong thing. This wine is thought-provoking and perfect for enjoying during a great conversation with a few of your favorite people. 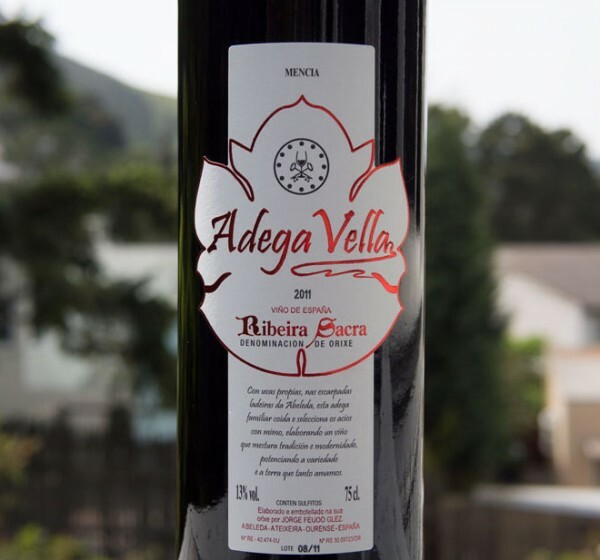 It’s a great wine to drink early in the evening before a dinner party, or to take with you on a weekend with friends. Or bring it to dinner with your parents and blow them away with your worldly and complex taste. Did you enjoy your bottle of Anthos? Are you intrigued? We’re evaluating the next vintages of this wine, so let us know if we should carry it again! Many people have heard me to say that the Grace Grenache is my favorite wine ever – and if I had to pick only 5 or 10 in the world, that wine would probably be on the list. Now, I know this isn’t just one wine – Angela Osborne makes several different Grenaches from a few different vineyards, and she has made rosé from a few of those vineyards as well. However, there’s consistency in style and treatment here that unifies her label. 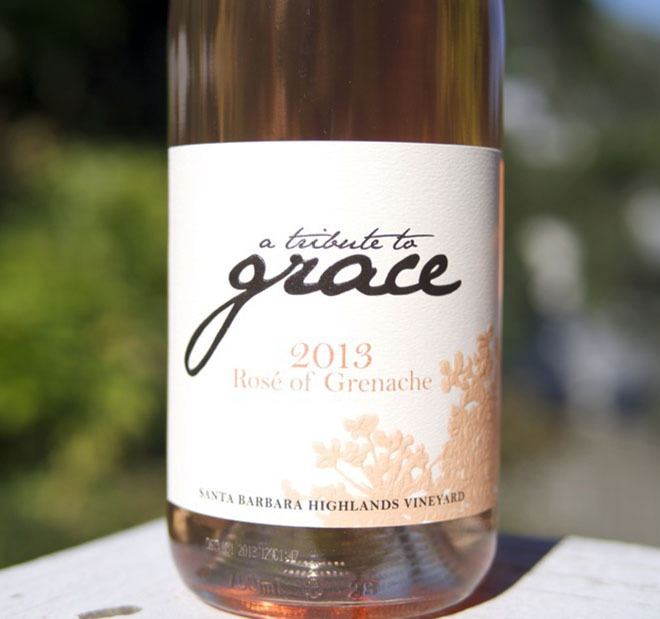 All grenache, all floral, elegant, and, well, graceful. The fact that I’ve had this rosé in my fridge since the last wine club shipment is sort of a feat in and of itself, but I was waiting for a suitably beautiful day, and a suitably delicious meal to pair it with. I was excited and had high expectations when I opened the bottle, and I was not disappointed. 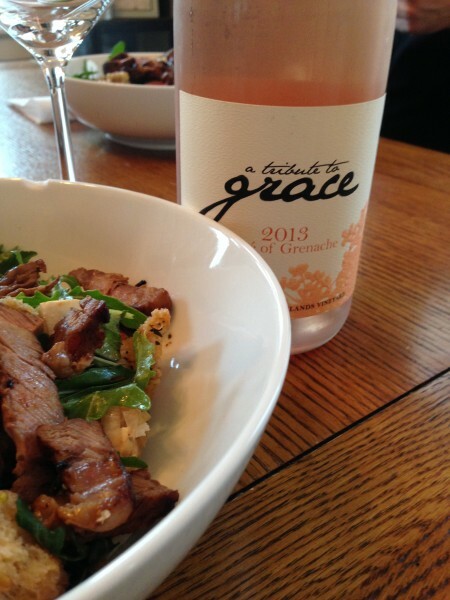 This rosé is extremely pale in color but that belies its intensity of flavor, which is huge. It’s got a strong backbone of acid that cuts through every sip and every bite of food, but the nose is all sorts of flowers. It really was a wonderful complement to the steak salad, which had a nice diversity of flavors in it, but was light and fresh in its own way. The wine did not overwhelm, it did not make anything taste sour or off, and the food also lifted the wine above the dish so that when you were drinking it between bites, you could enjoy both the interplay of the flavors between the two. It also made a great palate cleanser. It’s got this great tropical element to the aroma, which sort of makes you think Sauvignon Blanc, but the taste is crisp and juicy in a way that SB just can never be. On night two, however, I have to say that I was shocked at the turnaround this wine made, which makes me think I did something to cause it. Night two, I drank it straight with no food, and the acid was a little overpowering. The wine just didn’t shine in the way it had the first day, and I couldn’t discern all of the fruit or floral flavors or aromas that I could on day one. Tala said, “maybe it was a lemon day,” which is a biodynamic wine joke. My personal opinion is still out on this aspect of biodynamics, but I won’t lie – my first thought was whether it was a root or a leaf day – or maybe it was something I ate, or maybe it was too cold, who knows. In any case, it was not a situation where I was willing to give up, so I put the cork in it, tucked it into the fridge, and decided to try it again the next day. I’m really glad I did! On night three, I had it with whole wheat spaghetti with arugula, corn and ricotta mixed in. Very simple and straightforward, pretty light, and also delicious. On this night, the wine had lost some – but definitely not all – of its acid, and the florals and tropicals were back in a big way. It was not as successful a pairing as with the panzanella because the wine had lost some of its acid, but it still tasted remarkably good for a fresh, natural, young wine on day three. Given the wine’s elegance, I would’ve expected it to fall apart at this point and it was clearly on the downhill, but still tasted great. The acid fading out really brought forward the floral elements – jasmine, rose, gardenia; it smells like your grandmother’s powders or old-timey perfumes in the very best way. So fresh and flowery. I think this rosé is a highly versatile and extremely delicious wine – it surpassed my expectations and I’d pick it up again in a heartbeat. Very food friendly, and I’d love to try sipping it again, maybe in the sun, on a back deck, on a Sunday afternoon. You can, too! It’s still available in the shop.